Several people have asked what will happen to sports with the closure of the school, truth is we are all still figuring this out and our goal is to make sure all St. Mary School and Parish children have access to CYO sports regardless of what school you end up at. Our sports teams are based out of the Parish and we are still planning to continue some sports as long as there is interest, but we will need coaches and players to respond to Facebook postings early in order to arrange teams. 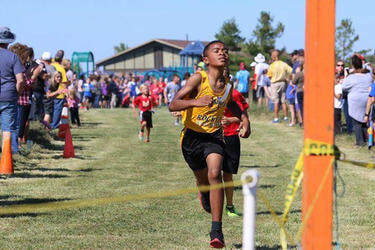 We will be moving sports communications to the St. Mary of the Annunciation Facebook page and using the bulletins for sign up and registrations. The athletics email will also be shut down in June, but I can be reached at kristenbaumia@yahoo.com or you can contact the parish office until we set up a new email. Fall Sports – If you are interested in a fall sport (football, volleyball, soccer) please contact me as teams are forming now. 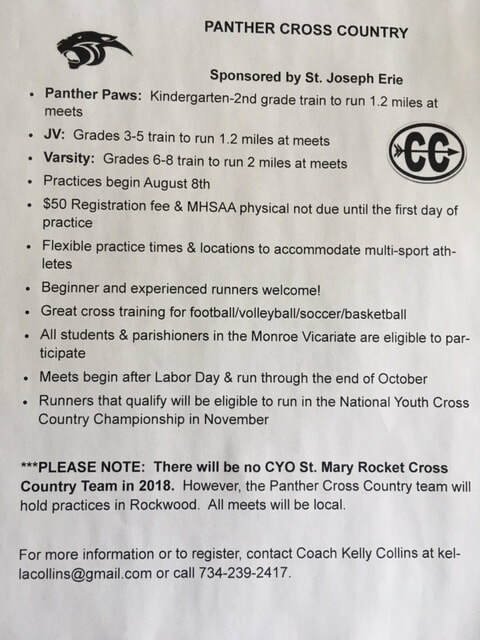 Cross Country will register later this summer and we will be joining with Monroe CYO schools to form a new division that will be closer to home and have meets on Saturdays. Kelly Collins is heading this up. Winter sports – We already have at least one coach for bowling and enough players to form a team. Registration will begin in the fall. If I can be of assistance helping find a team or putting you in touch with another athletic director, please let me know.